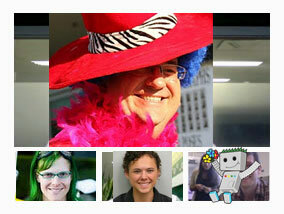 Googler Jonathan Simon is hosting a Google+ Webmaster Hangout today, March 1st, at 2pm PDT / 5pm EDT. To access the Hangout watch his profile at around that time over here. Jonathan announced it on his Google+ page and Googler JohnMu announced it at Google Webmaster Help forums. The topic is anything webmaster-related including Webmaster Tools, Sitemaps, crawling, indexing, duplicate content, websites, web search, etc. For more details on how Hangouts work see this page. Otherwise, check out Jonathan's profile at around 2pm PDT today over here. Forum discussion at Google+ and Google Webmaster Help.